It was quite a surprise when Member of Parliament Tin Pei Ling was officially unveiled as Geylang International Football Club’s adviser for the upcoming S-League season. Ms Tin who is also a Member of Parliament for MacPherson SMC is the first woman to hold the post but she is no stranger to sports. For her, it’s all about community outreach but more than that, she hopes to do her part in promoting the local sporting culture. Elliott Danker had a chat with her at the unveiling of the new Geylang International Football Club S. League squad for the 2016 season. Tin Pei Ling: When Geylang International Football Club approached me, one of the things that really drew me was the focus on youth development and the community outreach. I think this is something that is really meaningful and it’s something that’s close to my heart as well. So when the opportunity came I thought it was a great one and it’s also an honour to join given the history of GIFC and the players and legends themselves are very much part of Singapore’s sporting culture. For me, I think in this collaboration with them, my focus would be on how we can work together to better reach out to the community at large. I believe that football as a sport is something that is very powerful, engaging the community especially our young. And getting them to come together to not just do something that’s healthy but also to build on our own character.. Through the players you can tell that they have to put in a lot of hard work, perseverance, to endure hardships and to fight to the very end and not to mention the sportsmanship as well. Those are very invaluable traits and values. I hope that by working with them, we can reach out to the youth in the community and even better, the larger community. To agenda a great sporting culture and more than that to build a strong Singapore spirit. Looking ahead, I hope that with the games coming up, that the roar will come back to our local stadiums which for me is something that’s very meaningful and very powerful. It does bring Singaporeans together. I like how you mentioned during the Press Conference that football is probably the biggest sport in Singapore. Is there a particular memory that gives you that impression? Tin Pei Ling: Somehow I keep going back to the Kallang roar and I think that was a very defining moment. I think most if not all Singaporeans will remember that and I think those moments were really incredible. The spontaneous nature of it all. It’s really one way, one platform, one thing that draws all Singaporeans regardless of race, language or religion. That’s the Singapore spirit that makes us special. 2015 was a great year for Singapore sports. As a Singaporean. what are your hopes for Singapore sports in 2016? Tin Pei Ling: Of course I hope that our Team Singapore will continue to do us proud and win medals and the year round competitions. I think more than that I hope that Team Singapore will also make a lot of friends while they are at these competitions because they are representing Singapore, they are in a way diplomats and ambassadors and I believe they will continue to do us proud in the international arena. 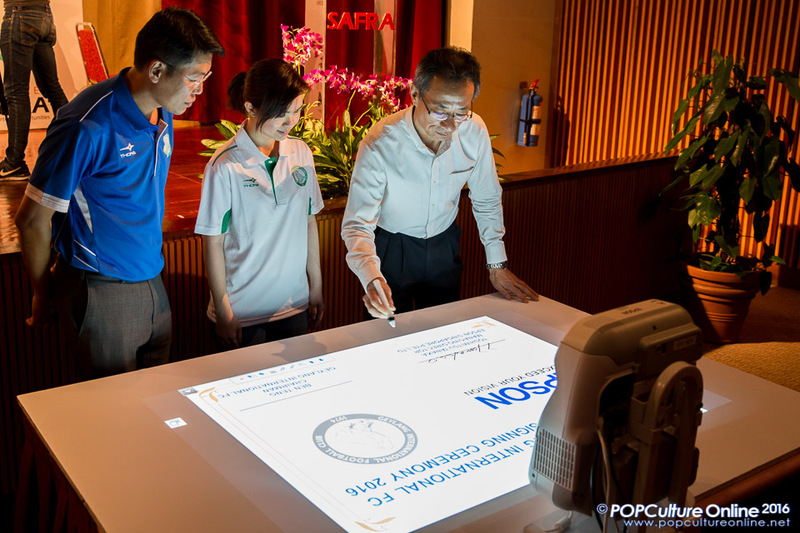 Epson Singapore also announced the signing of a one-year sponsorship deal with the club with Mr Toshimitsu Tanaka, MD of Epson Regional Office, Singapore and Mr Ben Teng, Geylang International Football Club Chairman, signing the agreement electronically thanks to the Epson Epson EB-595Wi. No stranger as well to the sporting circle on the global scale, Epson has been involved with big names like Manchester United Football Club and the MERCEDES AMG PETRONAS Formula One Team. The sponsorship deal will see the electronics giant bring its expertise in printing and imaging equipment and services to the club’s running operations as well. 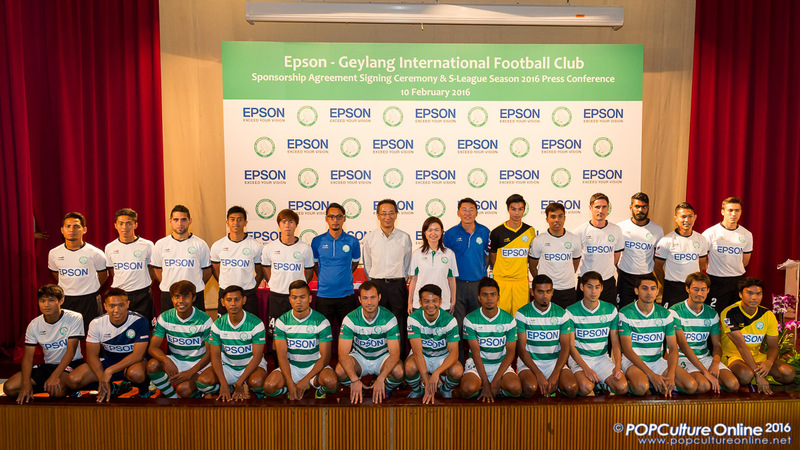 With years of experience behind Epson, Geylang International Football Club will surely stand to benefit from a not only from a practical but also in the operational area as well. 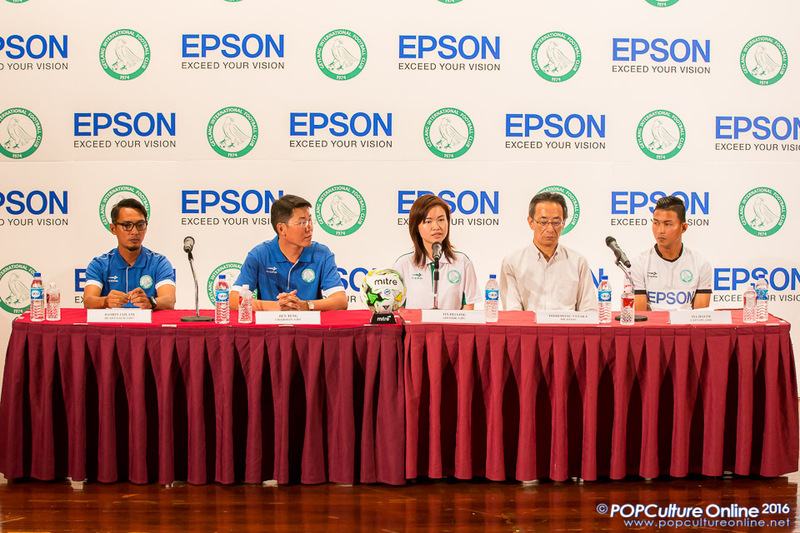 As the official Gold Sponsor for the Club, this sponsorship marks Epson Singapore’s move to extend its outreach to the community as well as to contribute actively to the local football scene.